The name Frances Hodgson Burnett is already a market attraction that an avid reader wouldn't hesitate to by her works. She had created timeless classics that captured the hearts of millions. From the Secret Garden to The Little Princess, she has enticed readers with the naivete of her characters as well as with great story telling. Cedric Errol, who lives in New York City, is happy and certain with his life no matter how poor his family is. But when a stranger announces that he will be an heir to great Bristish earldom everything becomes uncertain. 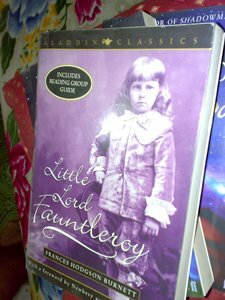 He is the Lord Fauntleroy and someday will be the next Earl of Dorincourt, on the other hand, he will be away with his family and the things he has used to. Cedric travels to England to join his grandfather, the Earl, in Dorincourt Castle. His American mother lives nearby, but the bitter, selfish old Earl must change before Cedric's mother is allowed to live with them at the Dorincourt estate. 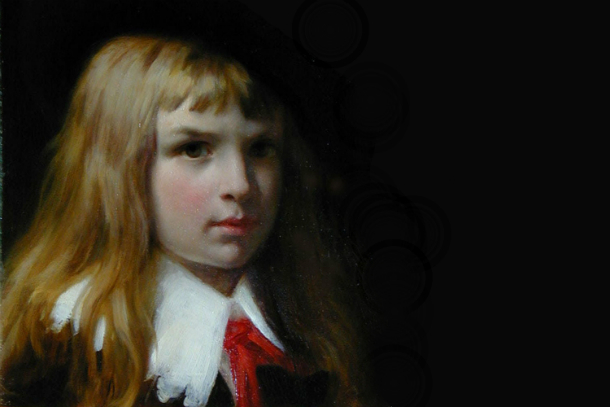 The old Earl is at first impressed by the appearance and intelligence of his young American grandson. He has a perception that Cedric will after all become a better earl than he was. Later on, a crisis lead the Earl into asking Cedric's mother to forgive him. With the help of Cedric's loyal American friends, the crisis is resolved. The Earl of Dorincourt resolves to teach his grandson how to be an aristocrat, but it turns out to be the other way around as Cedric teaches him to practice compassion and social justice towards human subjects under his care. Through Cedric's belief in his grandfather's goodness, and through his own good example, the old Earl is becoming the kind and good man Cedric always believed him to be. As always, Burnett weaves a great story... enough said.